We are still on vacation until the new year at the Caseing the Catty challenge blog when we start working on caseing the Sale-a-bration, Occasions Mini and New Catalog. In the meantime, I am still finding beautiful projects to case in the catalog. 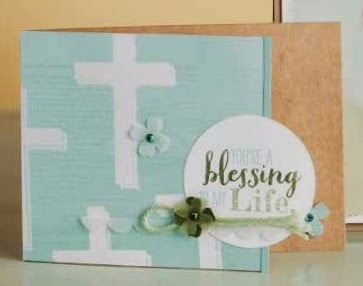 Here is the beautiful cross card on Page 123. I hope you can join me!